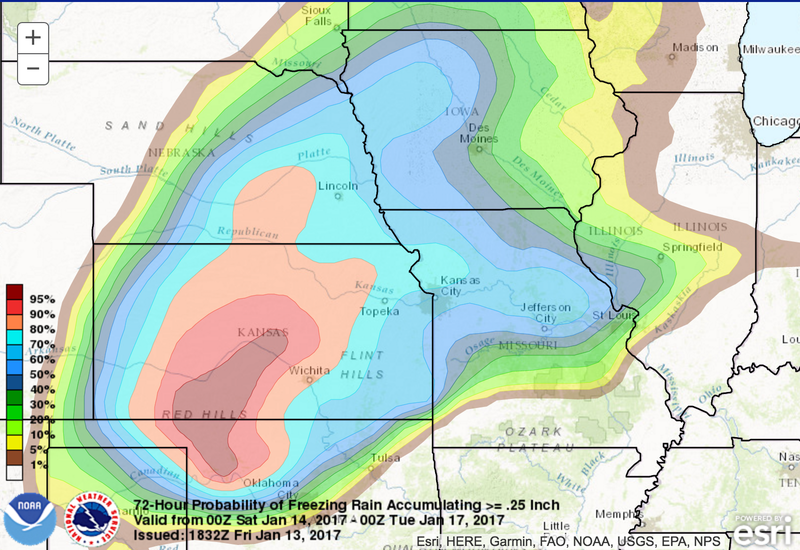 The basic ice storm forecast still looks good (scroll down). However, there are people who like probabilities of storm events and here they are. 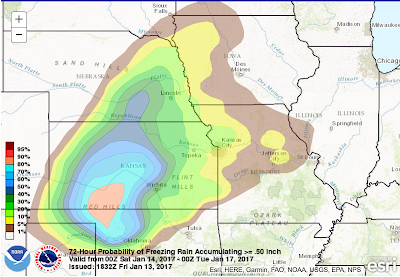 Here is the probability of a quarter-inch of ice or more. We are not looking for any areas of high winds the next 48 hours. Generally, power failures are infrequent with a quarter-inch and fairly light winds. 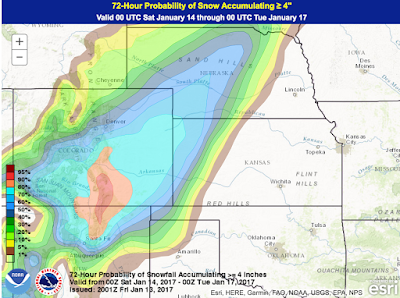 Here is the probability of a 1/2 inch or more. When amounts reach a half-inch, the likelihood of power failures goes way up. In the area with blue or rust colors, amounts will exceed an inch in places. This makes long-duration (a week or more) power failures possible. 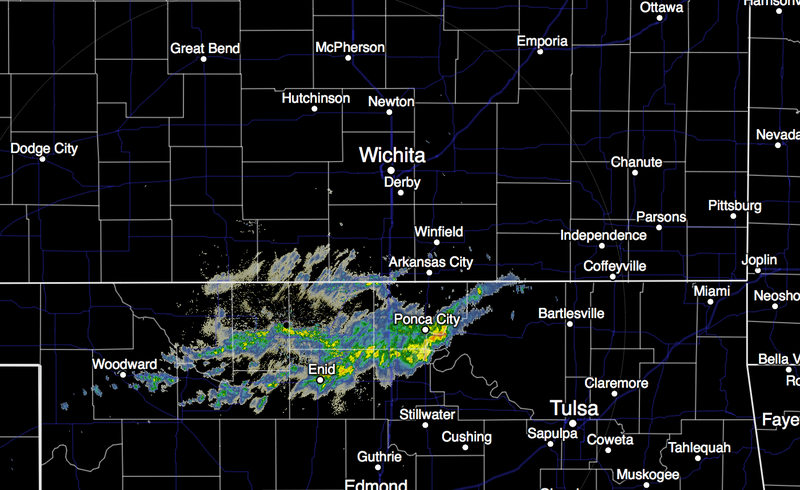 Before departing, the type of precipitation is going to turn to snow. 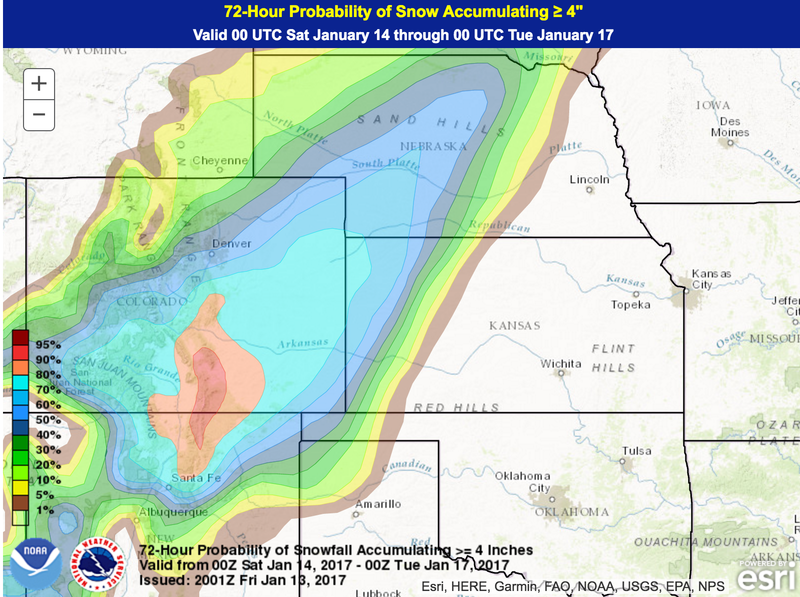 Here are the probabilities of 4 inches or more of snow. 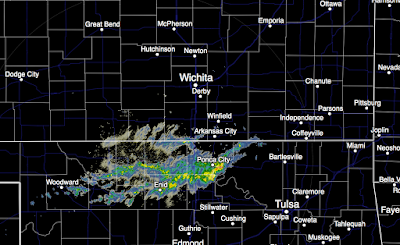 As far as the short term outlook, freezing rain showers along with some lightning have formed in northern Oklahoma and are moving northeast. The rainfall rates with these are high enough they will cause quick icing and, in heavy traffic areas, accidents. If you can get home and hunker down before the showers arrive, it will be a very good idea. 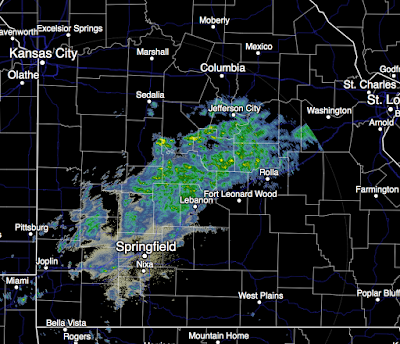 The radars are from 2:20pm CST. 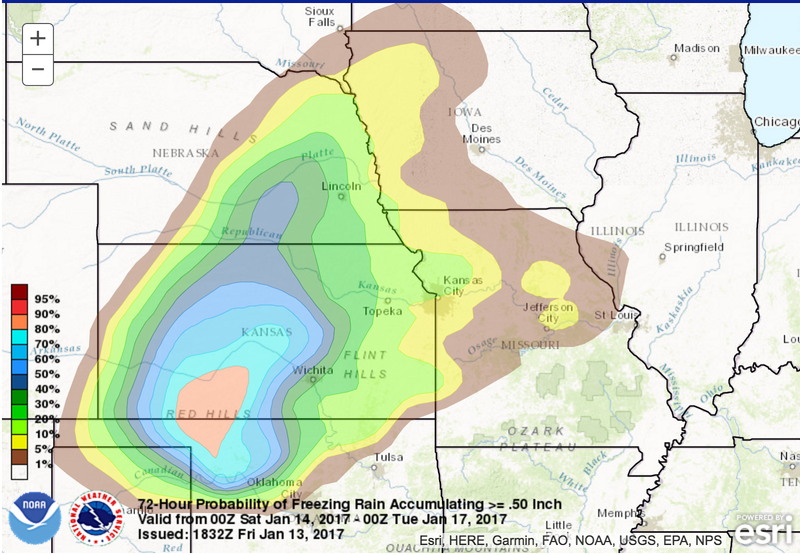 Again, this is an ice storm that will cause serious problems. Please make sure that any infirm people that are part of your family or in your circle of friends are taken care of. Please scroll down for safety suggestions. I'll have another update this evening.